If you've been able to draw yourself from the election, you might have missed a few big stories from the world of wearable tech. Over at Web Summit 2016 in Lisbon we got the scoop that Apple is going to launch a mixed reality TV. Snapchat Spectacles are beginning to appear in vending machines while Under Armour has big fitness tech plans to talk about in early 2017. While those stories were the ones to grab the headlines, we've picked out the other wearable news tidbits of the past seven days that you should cast your eye over as well. The biggest selling wearable tech company on the planet denied that it received a takeover offer, which was sparked by a filing with the Securities and Exchange Commission. Chinese based company ABM Capital had apparently tabled an offer causing shares in Fitbit to spike. The Charge 2 and Flex 2 makers however denied it had received an offer from ABM or any firm regarding a reported offer. 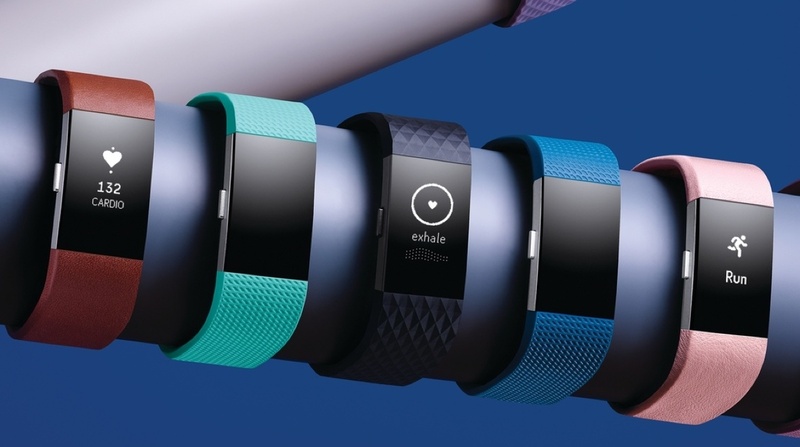 Fitbit recently revealed in its latest earnings call that it had slightly missed revenue expectations with shares in the company dropping a massive 30%. Samsung wants developers to make more apps for its operating system and it's hoping that dangling a big bag of money will persuade devs into giving some love to Tizen. Through its Tizen Mobile App Incentive Program, the Korean tech giant will be awarding developers cash prizes if they build apps good enough to break into the top 100 most downloaded apps section inside the Samsung Tizen Store. App support is arguably one of the weakest elements of Samsung's otherwise impressive Gear smartwatches, so here's hoping this does the trick of adding more quality to the app ranks. For those who are too impatient to wait for Snapchat Spectacles vending machine to hit their city, the sunglasses with a built-in camera have already hit eBay. It's no surprise to find out that the heavily sought after smartglasses are going for as much as $2,500 on the auction site. The Spectacles that record 10 second videos using a 115-degree-angle lens normally retail at just $129. Garmin has made it a whole lot easier to pull together data from all of your fitness tracker into one space thanks to its new TrueUp feature. Available as an update via Garmin Connect, it now allows you to switch between activity trackers and still get the most recent data including steps, elevation and intensity minutes. The idea is that if you run with a Forerunner watch and then switch to a Vivosmart tracker later in the day, it will show the most recent data on the current Garmin device you're wearing. TrueUp works with a whole host of Garmin wearables including the Vivosmart HR, Vivosmart HR+, Vivoactive HR, Fēnix 3, Fenix 3 HR, the latest Forerunner watches and even the Approach S20. Check out the meatier stories of the week on our dedicated news page.